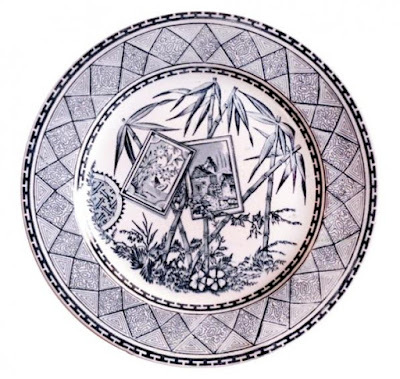 There is no real transferware connection here (so I added some lovely Japanesque patterns below), but I wanted to tell you about a poetry reading I attended recently. Yumiko Tsumura read from her newly published book, "Woman of March." Every word in each poem left me both wanting to know more about the poet and wanting to know more about myself. I realize that describing a poem is like describing the taste of chocolate. You have to experience it for yourself. So, here are the first few lines of her poem: "My Pacific War on the Hidaka Plain." And the last few lines from her poem about her mother, which is titled "Wrinkles." All of the poems in the book make for a poetry memoir. I recommend that you read it. Here is the vague transferware connection; the patterns are Japanesque Aesthetic Movement patterns that were popular at the end of the 19th century. 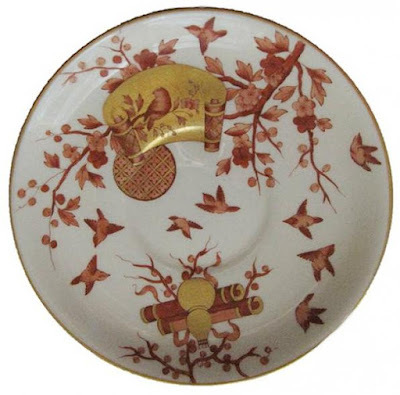 They are based on motifs taken from Japanese decoration, which became popular following the 1862 International Exhibition in London and the 1867 and 1878 International Exhibits in Paris. Such decoration remained in vogue for the rest of the 19th century. 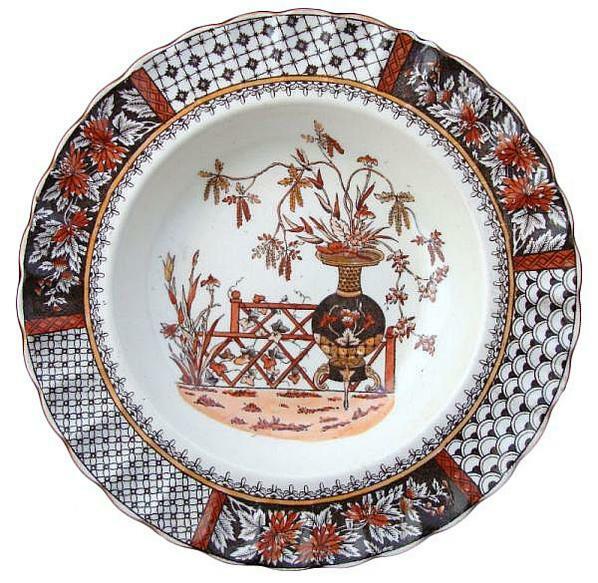 W.T.Copeland (& Sons) 1847-1970 pattern "2/2147" or Chrysanthemum pattern plate, ca. 1884. 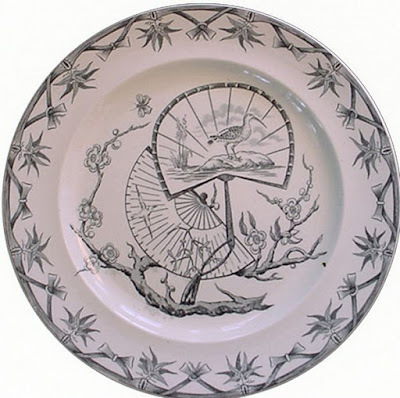 J. Meir & Son (1837-1897) "Bamboo" 10.25 inch plate. Maker Unknown Fans and Butterflies pattern 6.75 inch jug, ca. 1880. Bovey Tracey Potteries (1842-1957) "Fan" 10 inch plate, ca. 1880. 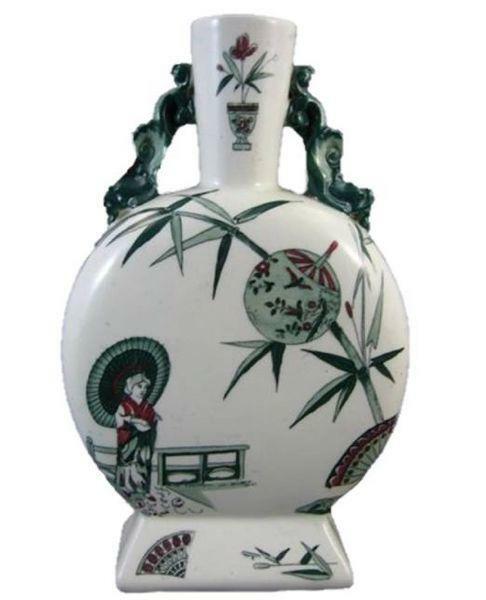 Maker Unknown 9 inch jug in a pattern known as Japanese Vase, ca. 1880. 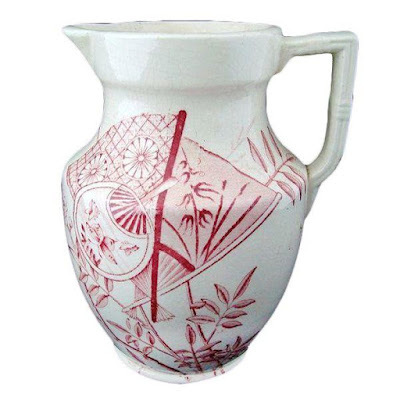 The transferware is a digression. 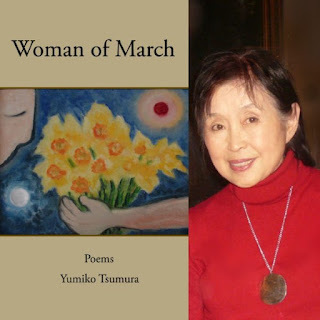 Read "Woman of March!" When I was in my 30's/40's I skipped lunch just so I could afford that wonderful Historical Staffordshire platter or plate. And, when I was tired and lost at Brimfield or the Kutztown Extravaganza, I found my way to another great piece and sat on the roadside in awe!